Rather than just being ‘limited’ it seems the EBACC is limiting: ‘The most commonly withdrawn subjects are drama and performing arts, which had been dropped in nearly a quarter of schools where a subject had been withdrawn (23%), followed by art (17%) and design technology (14%).’ I don’t see this picture improving if all pupils have to take the EBACC. The impact on the ‘Arts’ is the Government’s fault and schools fault for doing as they’re told to the letter. We need a bit of anarchy. He must learn that there is a great world beyond the little one he knows, experience the exhilaration of it and digest enough of it to sustain himself in the intellectual deserts he is destined to traverse. He must do this, that is, if he is to have any hope of a higher life. The importance of these years… cannot be overestimated. They are civilisation’s only chance to get to him. One could argue that this is hyperbole and that, for some individuals, there will be many opportunities to catch a bit of civilisation whether they have this through formal education or not, but for many school is their main chance to think. Education is about far more than eight academic subjects. Gibb knows this, the tradition since the Ancient Greeks tells us this. A great Baccalaureate should not be the product of unimaginative politicians but a celebration of the great tradition, an escape from the philistinism, that is sure to follow, in our corporate and public sphere. Education should expand us, not narrow us. Had been recognised as an ideal means of imparting taste and knowledge and of arousing curiosity in the mind of a youth… who was expected to return from his travels with a broadened mind as well as a good command of foreign languages, a new self-reliance and self-possession as well as a highly developed taste and grace of manner. The grand tour took in great architecture, countryside, cafés, food, brothels, bars, sport, galleries, ballet, opera, theatre, fights, executions, libraries, cathedrals, carnivals, and great conversation, companionship and experiences; a broadening of the mind, from the sublime to the ridiculous, all life was there. “James Napier, an Old Bedalian and founder of the London Atelier of Representational Art, stresses that… a Bedales Arts and Design education offers: “The freedom to think.” This is a sentiment that chimes with the school’s educational philosophy. Bedales has always nurtured individuality, initiative and an enquiring mind.” It is this sort of language that resonates with progressive educationalists and those who are signed up to the ‘creativity’ agenda. Robinson wants to bring creativity to the aid of capitalism in crisis. This linking of the Arts, creativity, and West Coast capitalism is a heady brew, one that has been drunk entirely by David Cameron’s one time guru Steve Hilton who points out in his book ‘More Human’ that: “Creativity… is considered the most important leadership trait by global CEOs…” The commodification of creativity. Ken Robinson is wrong, his idea of creativity is limiting, it should not be there to serve capital it should be there to critique it or even wreck it and though it might lead to Capitalism being more successful, it’s not a given, nor should it be. Art for Art’s sake is its own justification. 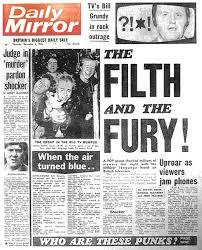 John Lydon became a rich man thanks to Punk, Butter and Property. 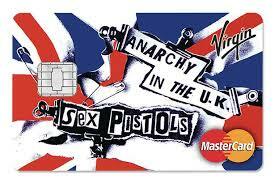 Filthy Lucre it may have been, hate it and make it, and although now we have credit cards with punk iconography on them, at the time the nation was rocked by Rotten’s filth and fury. The creative artist is a dangerous type, far removed from the corporate ‘creatives’ that the 21st century skills lobby cite to justify the inclusion in the curriculum of the arts. Art in schools should not be about creating little Fortune 500 wage slaves, the arts in schools should be far more dangerous. The world of art is peopled by the awkward squad. It is anarchic. Before and after science the arts are part of a fulsome education, they are a part of what it means to be human and this is why they should be part of the curriculum and given recognition in a baccalaureate, because the arts are alive! That the arts might not be valued is a sign of what we are becoming as a nation just wanting our curriculum to satisfy an instrumentalist desire to shape future workers.